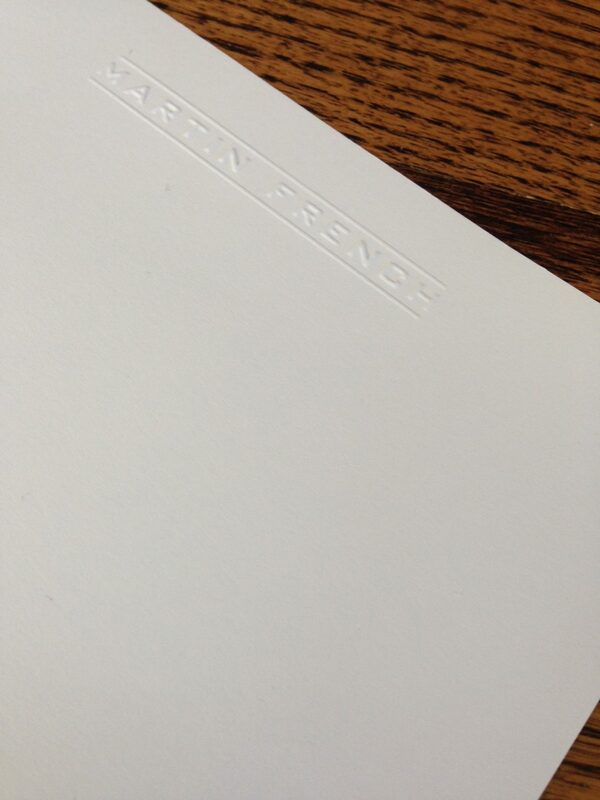 Archive for the ‘Embossed Stationery’ Category. 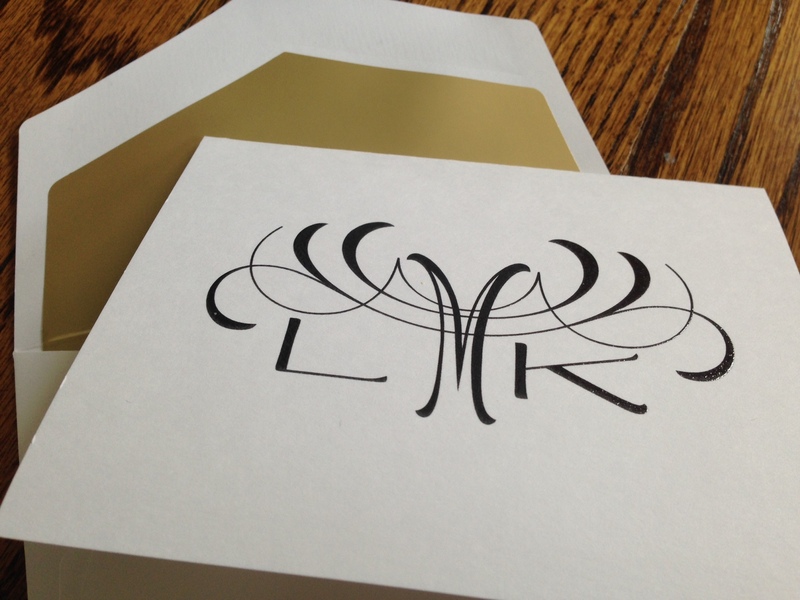 What’s So Special About Embossing? 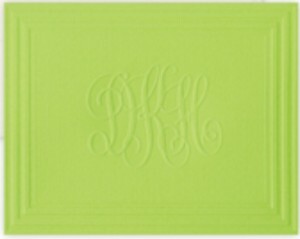 California Classic Frame Monogram Note updates the classic embossed monogram with a punch of color. Embossing, which is a little like printing, but without the ink, makes stationery or napkins special. 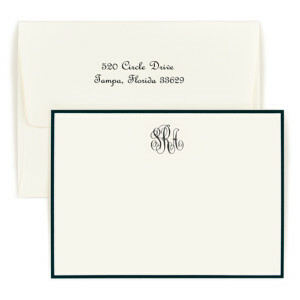 Nothing says, “style, class and tradition” more than an embossed monogram or name on a piece of stationery. 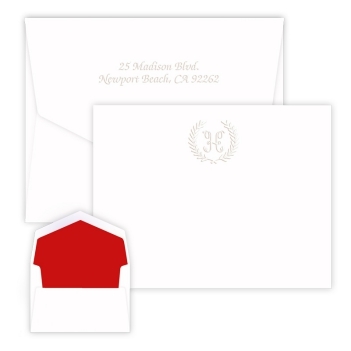 That’s why embossed items make memorable and heart-felt gifts. 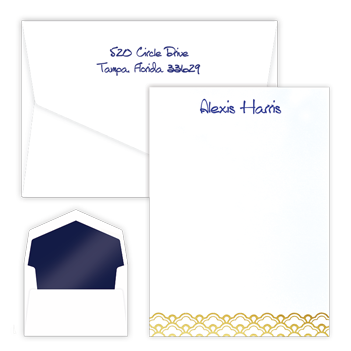 In this process, paper is squeezed between two molds, or dies, to create a raised impression on the paper. 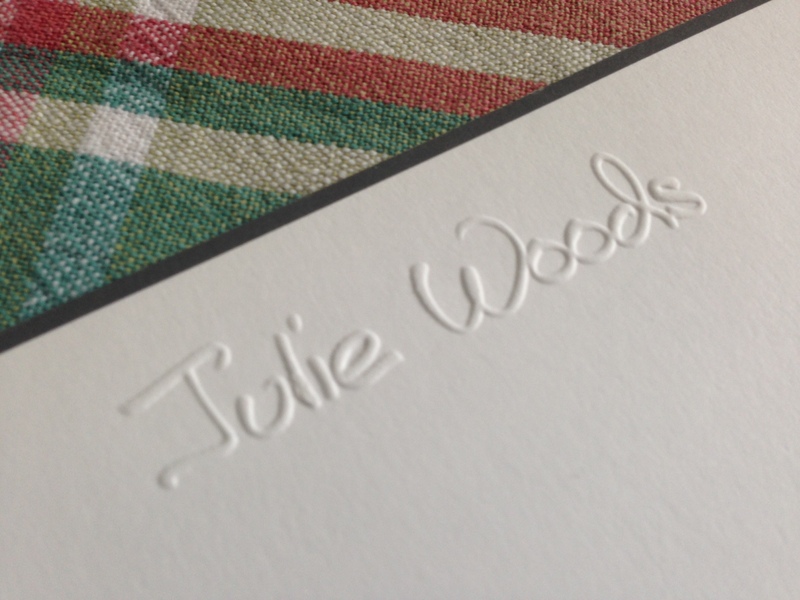 How can you tell high-quality embossing from poor-quality embossing? 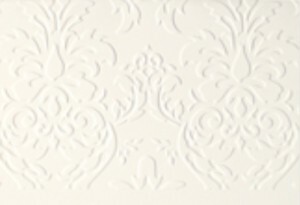 Now, look at the back of the paper. 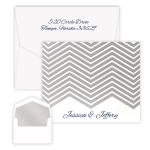 You should see a deep texture change in the embossed area. 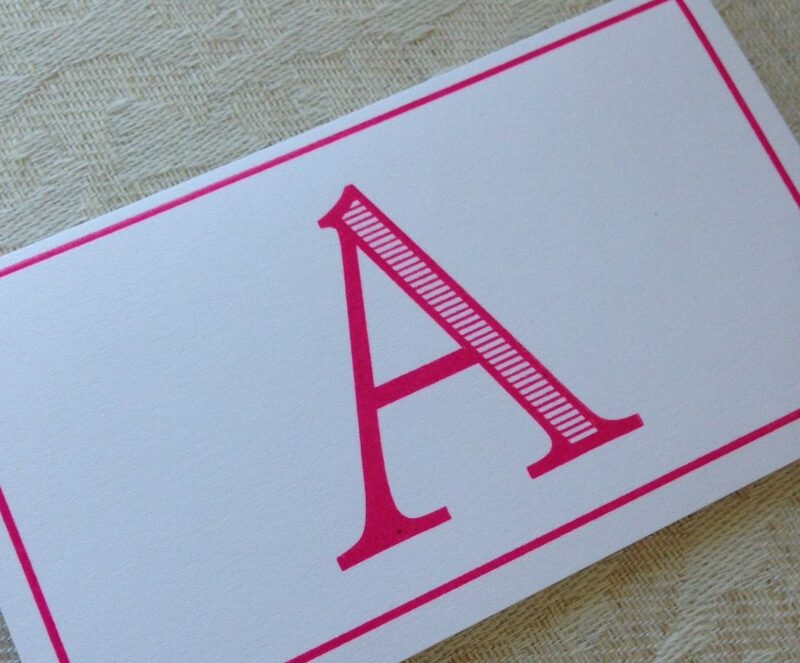 The paper should have been squeezed up and into the embossed pattern or lettering. 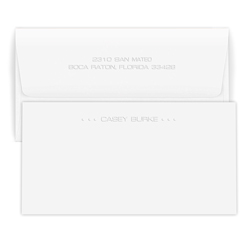 If there’s just a shallow impression, then the embossing is inferior. 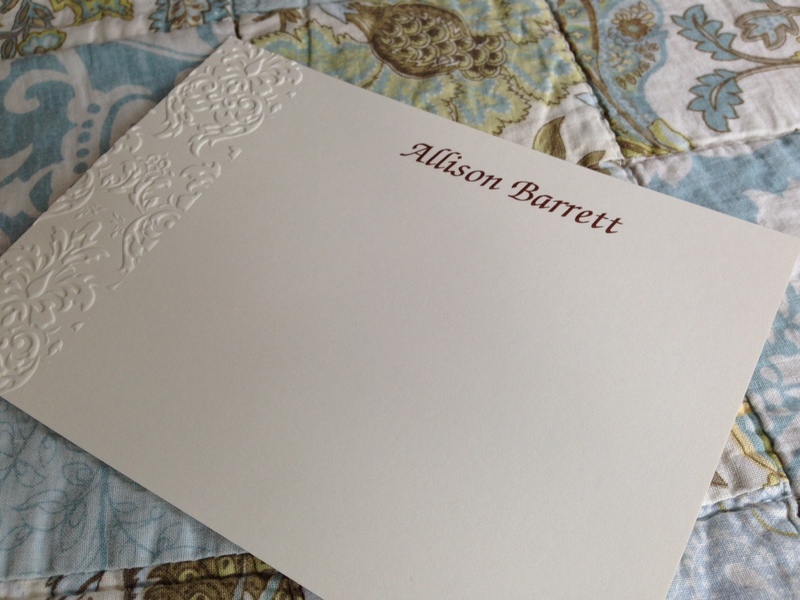 Giftin24’s Damask Note is one of our finest examples of embossed stationery. 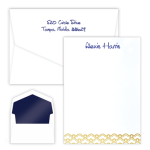 GiftsIn24 and its parent company, Embossed Graphics, have been embossing stationery since 1978. 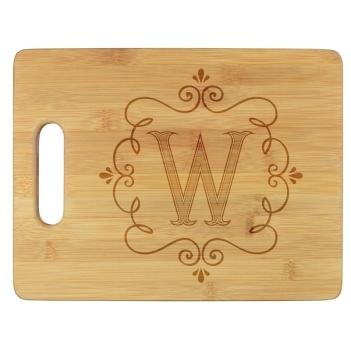 Needless to say, we have perfected our technique over the last 36 years. 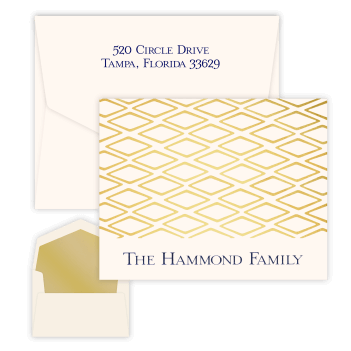 In fact, we create the highest quality embossed personalized stationery out there. 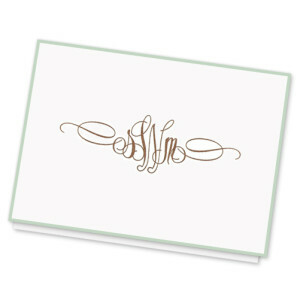 Classic Frame Monogram Note. 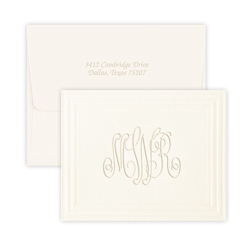 A traditional border expertly embossed frames a gracefully winding monogram. 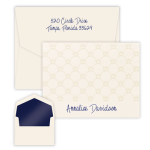 Matching envelopes included. 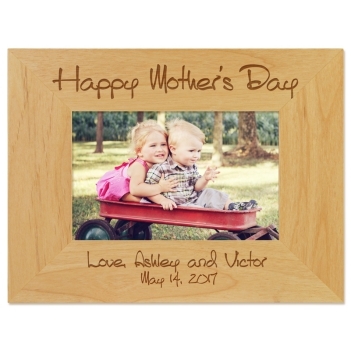 Banner Card. 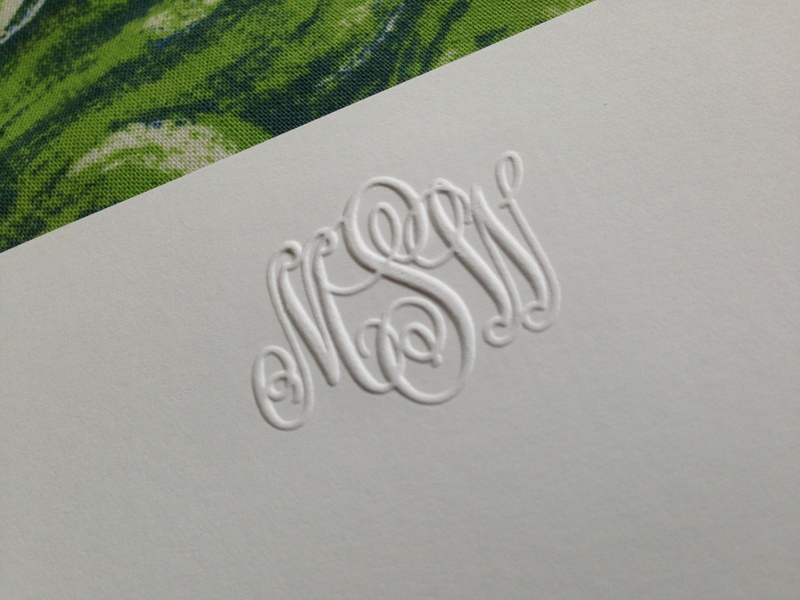 The embossing stands out on this creamy, triple-thick paper. 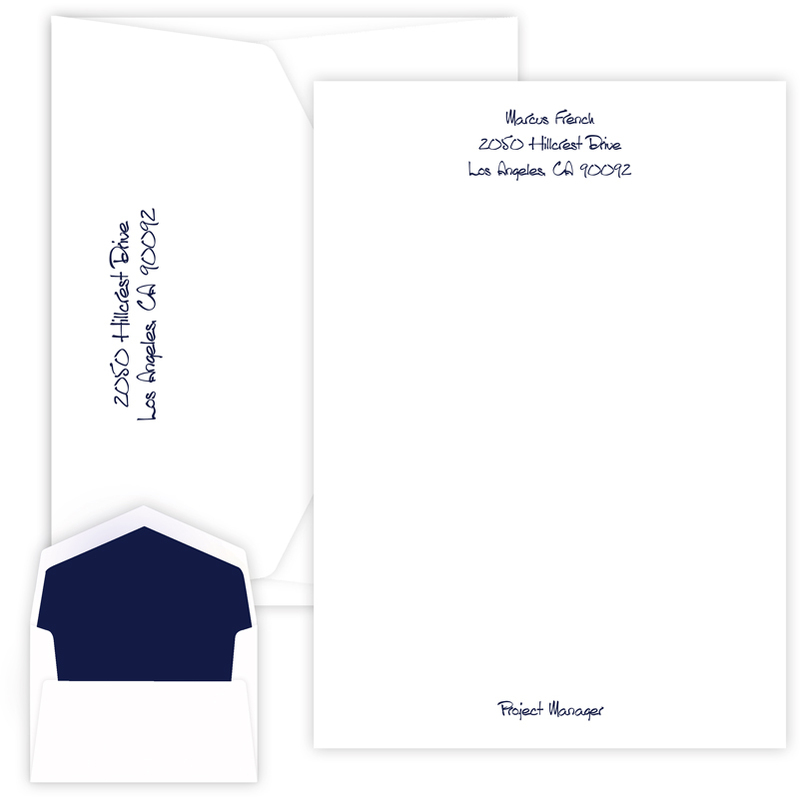 Matching envelopes included. 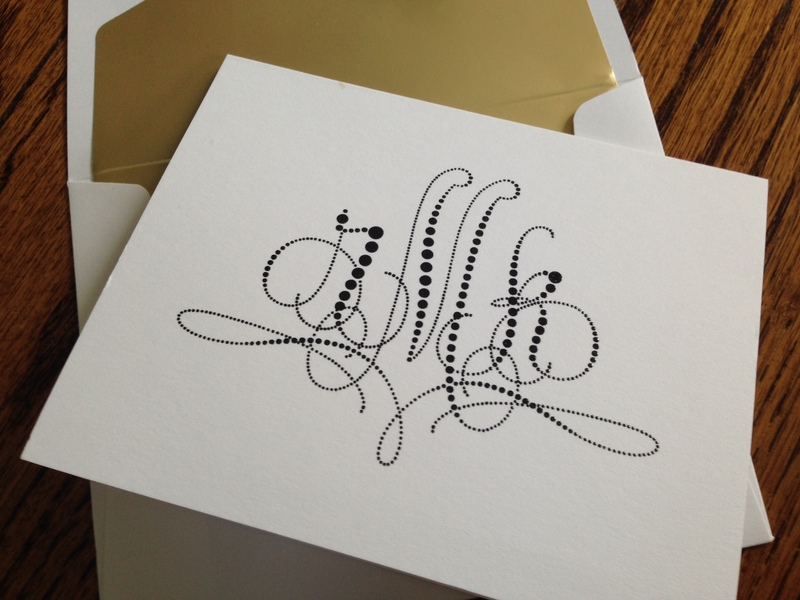 Blossom Note. This note features a combination of exquisite embossing and raised ink printing. Matching envelopes included. 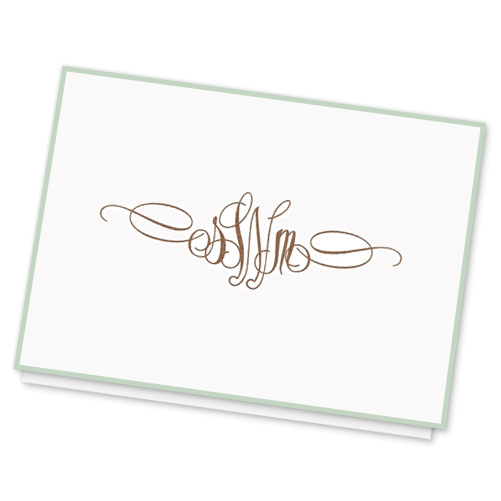 California Classic Frame Monogram Note. 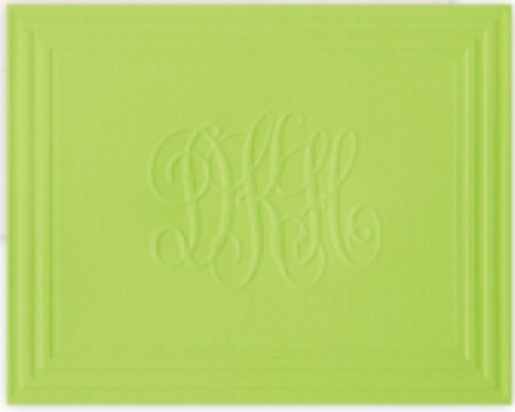 Your choice of six colors will give a modern spin on the traditional monogram card. 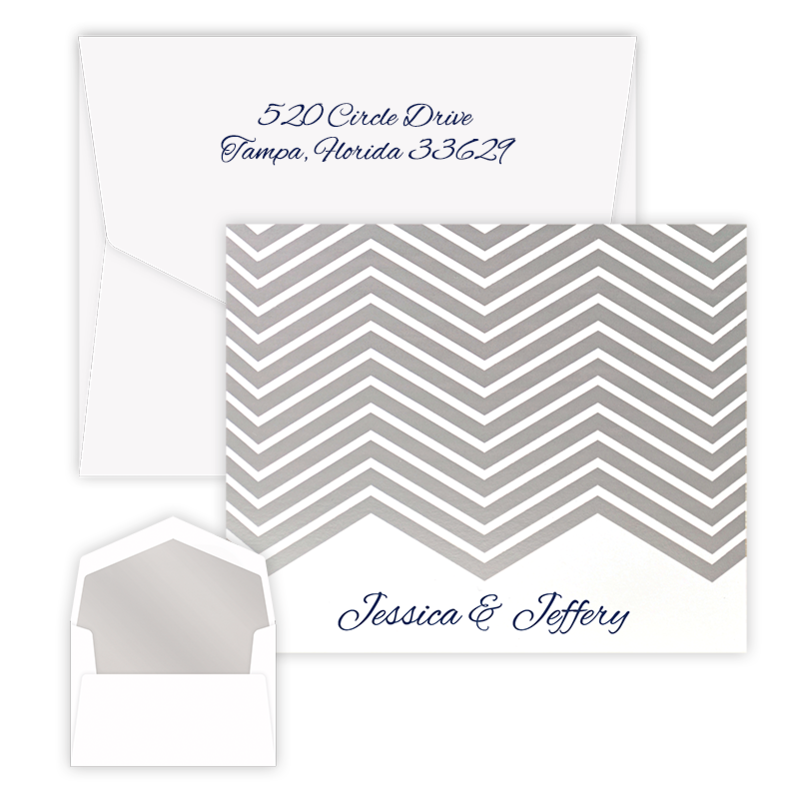 Matching envelopes included. 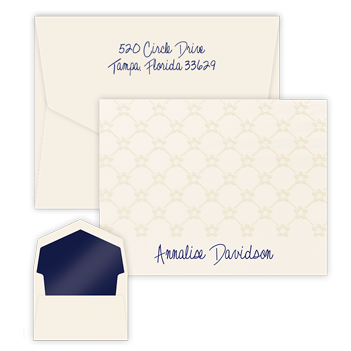 Damask Note. 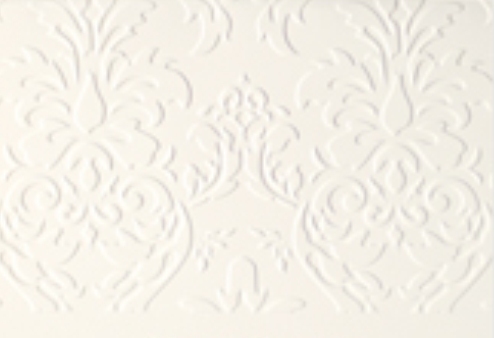 The embossed pattern on these notes is truly a work of art. 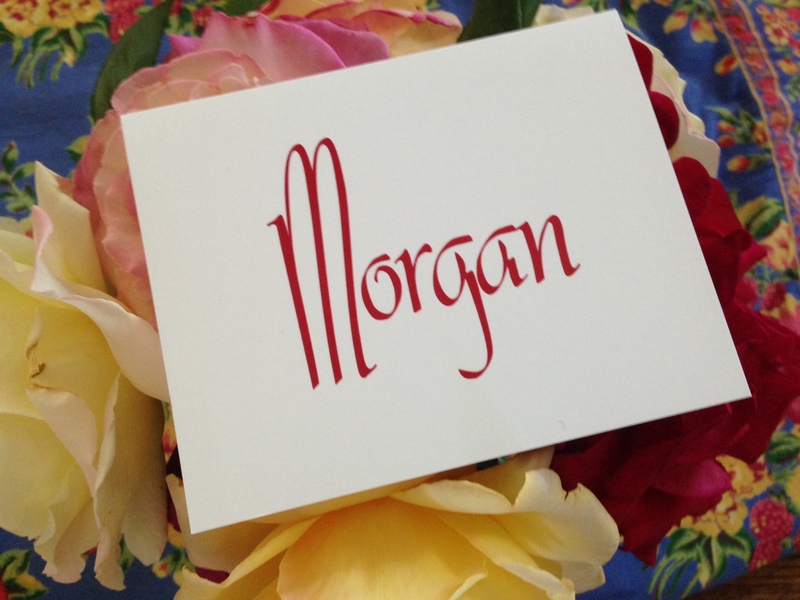 Names appear in ink. 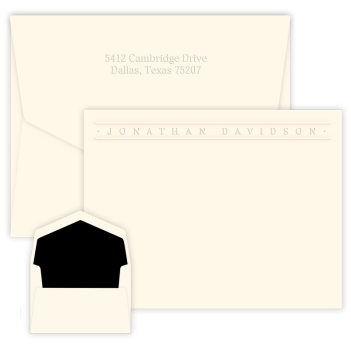 Matching envelopes included.